Arbitration is an alternative method of resolving disputes in which two parties present their individual sides of a complaint to an arbitrator or panel of arbitrators. The arbitrator, who is supposed to be neutral, then weighs the facts and arguments of both parties and decides the dispute. Arbitration may be voluntary or mandatory. In voluntary arbitration, both sides in the dispute voluntarily agree to submit their disagreement to arbitration after it arises and after they have an opportunity to investigate their best options for resolving their claim. What is binding mandatory arbitration? In binding mandatory arbitration, a company requires a consumer to agree to submit any dispute that may arise to binding arbitration prior to completing a transaction with the company. The consumer is required to waive their right to sue, to participate in a class action lawsuit, or to appeal. Are these clauses easy to find in the paperwork? Generally not! Some companies print them in boxes, and a few have you sign a separate sheet of paper which contains the clause. But many companies simply make the clauses an extra paragraph of fine print in their contracts. Is "Binding Mandatory Arbitration" always the name of the clause? Definitely not! Some companies call these clauses "Dispute Resolution Mechanism" and other equally hard-to-understand names. Nothing, if it's "voluntary" arbitration. In fact, voluntary arbitration can be a great thing in preventing lawsuits and alleviating backlogs in the judicial system. In fact, you always have the right to arbitrate. But you never want to give away the right to sue if arbitration does not work. Companies want you to give away that right. Do companies use binding mandatory arbitration in their own disputes with other companies? No, most refuse to use binding mandatory arbitration in their own business dealings. As a matter of fact, car dealers were so afraid of mandatory arbitration for their own disagreements that they spent millions lobbying Congressmen and Senators to pass a federal law that prohibits automobile manufacturers from requiring binding mandatory arbitration in disputes related to dealership franchise clauses. The law passed in 2002. Why are so many consumer groups opposing mandatory arbitration in automotive transactions? Many mandatory binding arbitration clauses are written to protect the dealer or other business selling you goods or services. Here are problems and dangers noted by consumer advocates. Consumers are often unaware they've agreed to binding arbitration. Whether the mandatory binding arbitration agreement is tucked in a paragraph of fine print or provided as a separate form, businesses often don't mention it until the consumer is ready to sign the contract. some may "forget" to mention the arbitration requirement at all. These tactics deprive consumers of their right to make an informed decision. Binding mandatory arbitration severely limits consumer options for resolving a dispute. Before any problem arises, you lock yourself into only one option—"binding arbitration"—for resolving all future disputes or problems. The contract typically also names the arbitration company that must be used. Binding mandatory arbitration clauses generally bind the consumer—not the company. The way most mandatory arbitration clauses are written, the seller retains its rights to take any complaint to court while the consumer can only initiate arbitration. Arbitration does not follow clear, well-established, consistent rules and procedures such as those required for litigation in the court system. For example, arbitrators aren't required to follow procedures that enable one side in a dispute to request information from the other (what the courts call "discovery"). The result is that consumers, who usually have limited resources, may have difficulty getting information needed to support their claims. In addition, nothing absolutely requires arbitrators to take the law and legal precedent into account in making their decisions although they are supposed to do so. Most decisions cannot be appealed, and there are generally no review bodies or other oversight to ensure that arbitrators follow fair procedure or the law. The seller generally picks the arbitration company—"the judge." In theory, both parties agree to the selection of a neutral, independent arbitrator. In reality, the seller or service provider usually designates the arbitration company in the contract. This situation can definitely affect the impartiality of the arbitrator. Studies show that any time one company depends on another company for a large percentage of their business livelihood, some systematic bias in favor of that company may develop. Binding mandatory arbitration frequently costs more than taking a case to court. One of the benefits usually claimed for binding arbitration is that it costs less than litigation. Frequently this is not true. In many cases, for instance, a consumer may have to pay a large fee simply to initiate the arbitration process. This can deter a consumer from even bringing a complaint. Or on a small claim total fees for arbitration can easily exceed the amount you might be awarded if you win the dispute. Do companies require mandatory binding arbitration even with cash purchases? Are there companies that don't require mandatory arbitration clauses? Yes. There are plenty of good businesses that refuse to require mandatory binding arbitration. These are usually the companies with the fewest consumer complaints. Don't deal with any companies that require a mandatory binding arbitration clause. Before spending time with the seller—whether in person or online—ask the seller if they require a mandatory binding arbitration clause. If the seller does require an clause, tell the seller you won't buy from them and why. 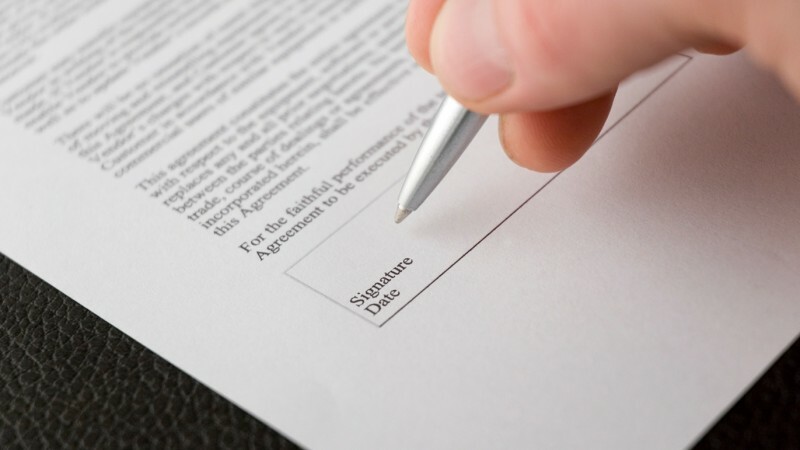 If a seller requires that you sign a mandatory binding arbitration clause, refuse to sign it. Stick with your decision. Be prepared to leave without completing the purchase. The article "Arbitration Q&A" from Public Citizen's Congress Watch provides answers to questions such as: Isn't arbitration a cheaper alternative than filing suit in court? Why do businesses use arbitration clauses? And What are the differences between a judge and a private arbitrator hearing a case? In addition to the following articles, you can also find more resources on the Fair Arbitration Now Coalition's website. The National Consumer Law Center describes the impacts of mandatory arbitration clauses on consumers. One Day Late on a Payment... Who Cares?! There's No Place to Hide! What's the Difference in a Bank and a CU? TTCU's financial well-being is linked closely to your financial well-being: when you prosper financially, we prosper. And since TTCU is not-for-profit and owned by you, our prosperity translates into money and benefits for you.